Brockhampton, 1998, Hardback in Dust Wrapper. Condition: Good+ - in Good+ DJ. Edges of DJ somewhat ruffled, laminate lifting along 1" at the head of the upper panel. Leans slightly. Illustrated with B&W photographs. This comprehensive and deeply researched biography charts his colourful career, which grew out of a luxurious upbringing and successful education to early achievements in the 1914-18 conflict, first as an infantry officer and winner of the Iron Cross for bravery, then as a fighter pilot, successor to von Richthofen, and the award of the Pour le Mérit. 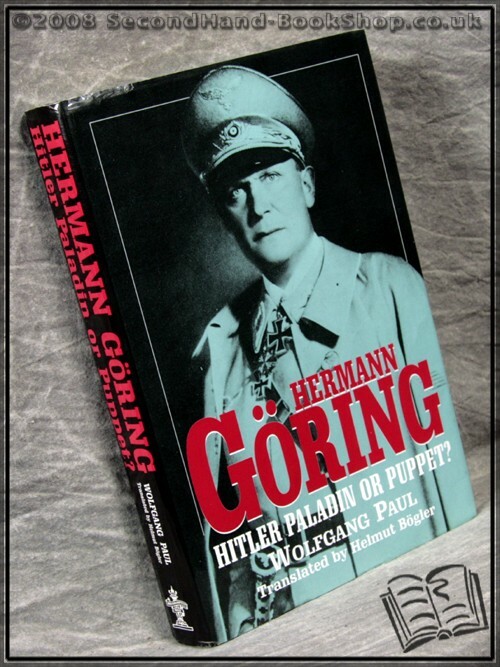 Noting that the inter-war years brought marriage into a wealthy Swedish family and early meeting with Hitler at Munich, the evidence is provided of the good impression Goring made on his future Führer. Was Hitler impressed by the military deeds and awards that he himself lacked? Did he misread Goring’s abilities? Was he correct in believing the man capable of high command only to find him wanting in the crisis days of World War Two. Size: 9½" x 6¼". 286 pages.